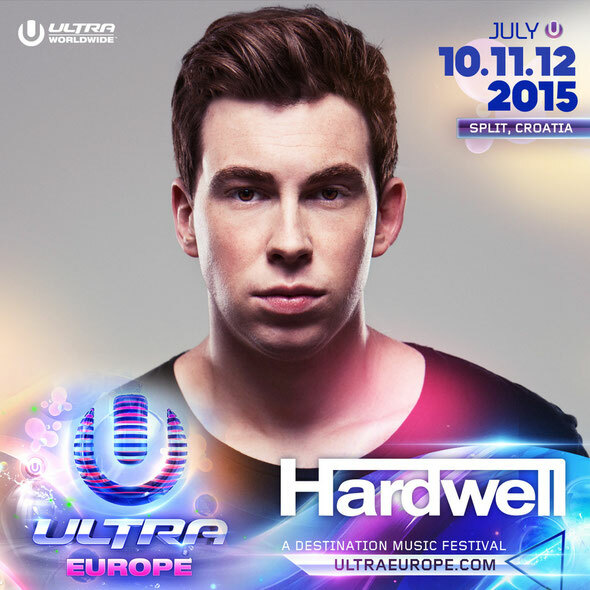 As Ultra Europe gears up for its third annual edition in July 2015, they recently made the announcement that the DJ Magazine-voted World’s #1 DJ, Hardwell, will be returning to the Poljud Stadium for a third consecutive year. 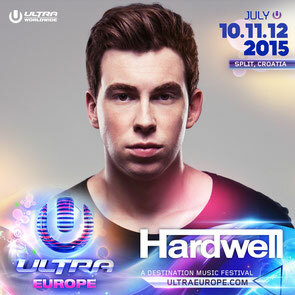 One of only a few select artists to be confirmed for Ultra Europe three years on the trot, Hardwell joins a list of headliners already revealed in Phase One back in February, including Afrojack, Alesso, Armin van Buuren, Axwell /\ Ingrosso, Carl Cox, The Chemical Brothers (Live), David Guetta, Knife Party, Martin Garrix, Nicky Romero, Steve Angello, Tiësto and Zedd. This Hardwell news comes shortly after the Croatian festival revealed the official lineup for its exclusive 5,000 capacity pool party, dubbed Ultra Beach. Headlining the event at the Hotel Amfora Grand Beach Resort on 14 July will be Fedde Le Grand, Oliver Heldens and Sunnery James & Ryan Marciano with support coming from Moguai and Jewels & Sparks. Having apparently welcomed over 150,000 attendees from over 125 countries in July 2014, the 2015 edition of Ultra Europe is set to break even more records as it expands into a historic event spanning a mammoth seven days. In addition to the three days of festivities held inside the Poljud Stadium and the one day Ultra Beach party on the island of Hvar, Ultra Europe will also be hosting three extra parties across the period, including an Opening Party in Split on 9 July, a one-off Regatta on 13 July and the official Closing Party on the island of Vis on 15 July.